Hello. This is Seikatsu Kakumei’s PR representative. 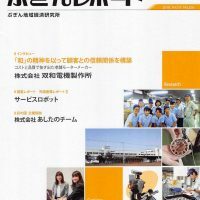 In the Bugin Regional Trade Research Facility (Musashino Bank’s trade research facility)’s publication Bugin Report November Issue, our robot boosting system Robot Party Reception Service and the essential efficacy of Pepper was covered and published. 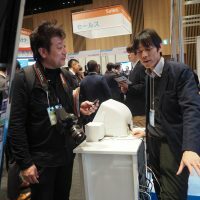 http://www.bugin-eri.co.jp/new_number.html (Japanese link) Contrary to recent trends, at ministry and global companies’ award ceremony events, international convention center trade show booths, and more, our company’s Pepper usage is only growing in popularity, which has gained attention. For those who are considering our Robot Party Reception Service for use at events, trade shows, or parties, it may be a valuable point of reference. Please be sure to check it out. [Robot Start coverage] Our Walking Pepper was Covered! 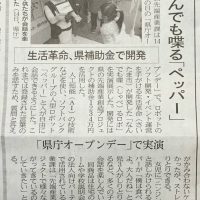 The banking reception system developed jointly between Seikatsu Kakumei and Laurel Bank Machine has been picked up by JURACA. 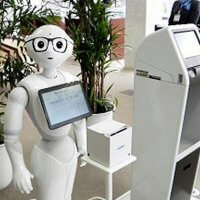 This system has been installed in Fukui Bank since last year. 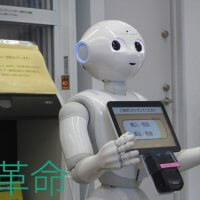 “Fukui Bank’s In-Store Pepper Reads the Local News https://www.juraca.jp/article/476/ (Japanese) Please read the article! 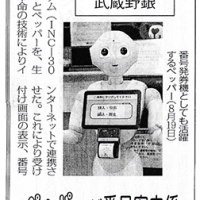 Featured in the Nihon Keizai Shimbun, Seikatsu Kakumei’s development Our robot and smart watch-based system for monitoring the elderly has been published. 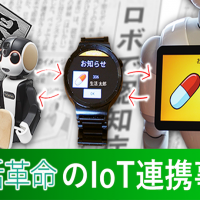 The system has been realized with Seikatsu Kakumei’s strength of utilizing existing systems to cooperate, an existing sensor system (monitoring system) and two types of robots (Pepper and Robophone), along with a wearable terminal (Android Wear 2.0). Although our Pepper developments are frequently picked up, we also develop for other, new types of robots and IoT devices. Please see here as well: [Press Release] Elderly Monitoring Support System Uses Robot and IoT Technology *This elderly monitoring system is a service offered by RTC, Inc.